The JBL Free X are decent truly wireless in-ears. They are virtually identical to the JBL Free in nearly every respect. They have a compact earbud design that should be comfortable for most but may not fit everyone equally well. They have a decent, well-balanced sound and are suitable for most music genres. They also have great isolation and do a decent job at blocking out noise. Unfortunately, like many truly wireless earbuds, their battery is mediocre, and they have a disappointing integrated microphone. They also have worse latency than most Bluetooth headphones, which won't be great for watching video content and gaming. The JBL Free X are indistinguishable from the JBL Free. They have the same durable, compact earbud design and come with an identical hard charging case. The case doesn’t add too much bulk, so the JBL Free X are portable in-ears, even when they’re charging. They have a stable fit that’s good for working out and are quite comfortable. 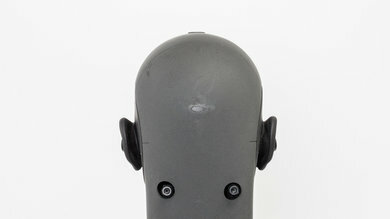 Unfortunately, their unique earbud design may not fit everyone well, and their control scheme lacks volume control. 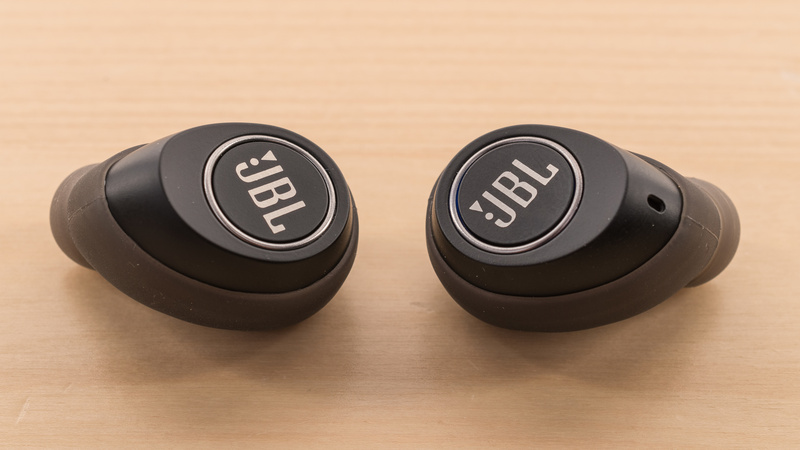 The JBL Free X have the same compact earbud design as the JBL Free. The earbuds are quite thick but relatively narrow. They feel fairly dense and durable, but less high-end than some of the more premium truly wireless models we’ve tested, like the Sennheiser Momentum True Wireless. The JBL Free X have a more rugged look and don’t feel as polished as the Apple AirPods. On the upside, they come with a good circular charging case that isn’t too bulky and even has a transparent cover so you can see if the earbuds are done charging without opening it. The JBL Free X are comfortable in-ear headphones. They’re very lightweight and come with various tip sizes and earbud sleeves to help you find a good fit. 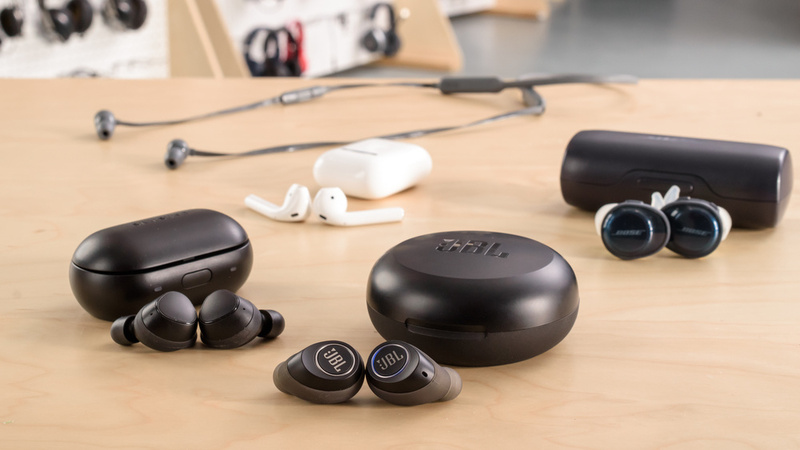 Though the JBL Free X aren’t quite as comfortable as the earbud-style Bose SoundSport Free, the difference is negligible and they’re more comfortable than other truly wireless in-ears like the Jabra Elite Sport. 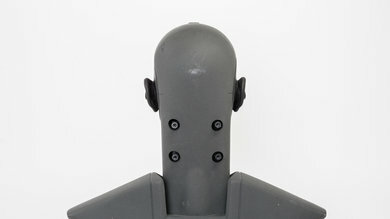 However, they have a unique shape that may not fit everyone, especially those with smaller ears. The JBL Free X have two physical buttons on each earbud. Pressing the button on the right earbud will play or pause your music, answer calls, and trigger your device’s voice assistant. The button on the left earbud is for track switching: press once to skip to the next track or press twice to go back to last track. This very simple control scheme is easy-to-use and the buttons are good and clicky. Unfortunately, like the JBL Free, the Free X have no volume controls. You’ll have to reach for your audio device whenever you want to raise or lower the volume of what you’re listening to, which is a bit disappointing. 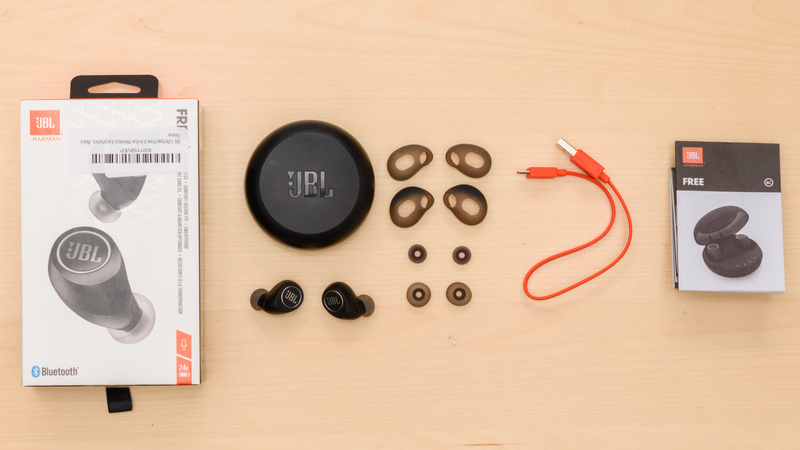 Like most truly wireless in-ears, the JBL Free X are very breathable headphones. This makes them a good option for working out since they won’t make your ears sweat as much as over-ear headphones. The JBL Free X barely cause any changes in temperature, even after long periods of use. They do trap a little heat in the ear canal due to their in-ear design, especially if you add the rubber sleeves to the earbuds, but the difference is still fairly negligible and won't make you sweat more than usual. The JBL Free X are very portable and will fit in almost any pocket. Their unique earbud design makes them a bit smaller than most truly wireless headphones, making them one of the most portable headphones we've tested. The case would also easily fit in larger pockets. The JBL Free X have the same plastic hard charging case as the JBL Free. This case should protect the earbuds if you accidentally drop them, but it may open on impact, causing the earbuds to fall out and get damaged. The case is a bit bulky, but should fit a bit better in your pockets than some of the other truly wireless charging cases, like the Bose SoundSport Free’s case. The JBL Free X have the same good build quality as the JBL Free. The earbuds feel dense and durable enough to survive a few accidental drops and the case is sturdy. Although they’re sturdy, they don’t look or feel as high-end as some of the other truly wireless headsets we've reviewed. The JBL Free X are good earbuds for sports, thanks to their stable in-ear design. They come with multiple silicone tips and earbud sleeves to help you achieve a good, secure fit. 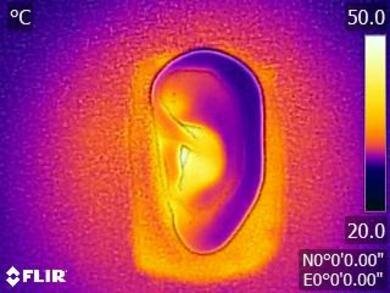 Once in your ears, they don't move around much, but the unique shape of the earbuds may not fit as well for everyone, especially those with smaller ears. They should be good enough for running and working out for most people, but you may find yourself adjusting the fit of these earbuds a bit more often than other truly wireless in-ears. If you’re looking for headphones to wear mostly while running and working out, then you might want to consider models with ear-hooks instead, like the JBL Endurance Peak. 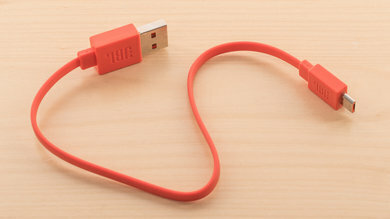 The JBL Free X come with a short, flat micro-USB charging cable. The JBL Free X are decent-sounding truly wireless in-ear headphones. They sound nearly identical to the JBL Free and have deep, punchy bass, a well-balanced and clear mid-range, and great treble. Their bass is heavy enough to be suitable for EDM, hip-hop, and dubstep without overpowering the higher frequencies important for genres like pop, jazz, or classical. However, vocals and lead instruments could sound a tad pushed back and lacking in detail, due to dips in their mid and treble ranges. The JBL Free X have excellent imaging, but like most in-ear headphones, they don't have a large and speaker-like soundstage. The JBL Free X have outstanding bass. Low-Frequency Extension (LFE) is at 10Hz, which indicates deep and extended bass. Low-bass, responsible for thump and rumble, is slightly overemphasized by about 2dB, but otherwise, the response throughout the range is flat and well-balanced. This means the Free X have deep and punchy bass that isn’t overpowering. It’s well-suited for all music genres, even though the lower frequencies are slightly emphasized. The mid-range performance is excellent. The response in low-mid and high-mid follows our target curve well, but mid-mid is slightly underemphasized. The 2dB dip around 700Hz nudges the vocals and lead instruments towards the back of the mix, giving a bit of emphasis to the bass frequencies. Overall, the mid-range of the JBL Free X is quite well-balanced and produces clear and accurate vocals and instruments. The JBL Free X have excellent treble. The response is relatively even throughout the entire range and is quite well-balanced. However, the wide and shallow dip around 5kHz will have a subtle but negative effect on the detail and presence of vocals and lead instruments. In addition, the dips and peaks between 6kHz and 10kHz will make sibilants, like S and T sounds, a bit uneven. The JBL Free X have excellent frequency response consistency. Assuming the user can achieve a proper fit and an air-tight seal using the assortment of tips that come with the headphones, they should be able to get consistent bass and treble delivery every time they use the headphones. However, if the user cannot achieve a proper air-tight seal, they could experience a drop in bass. The imaging is excellent. The weighted group delay is at 0.16, which is very good. The group delay graph also shows that the group delay response never crosses the audibility threshold, suggesting tight bass and transparent treble reproduction. Additionally, the left and right drivers of our test unit were well-matched in amplitude, frequency, and phase response, which is important for the accurate placement and localization of objects (voices, instruments, video game effects) in the stereo image. However, these results are only valid for our unit, and yours may perform differently. The JBL Free X have a bad soundstage. 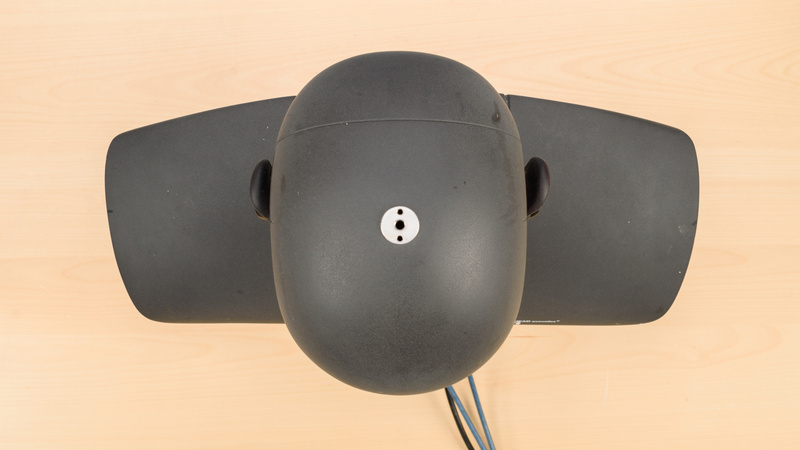 Creating a large and speaker-like soundstage is partially dependent on having a speaker-like pinna activation, and in-ear headphones bypass the pinna (the outer ear) and don't interact with it. Therefore, their soundstage will be perceived as small and located inside the listener's head. 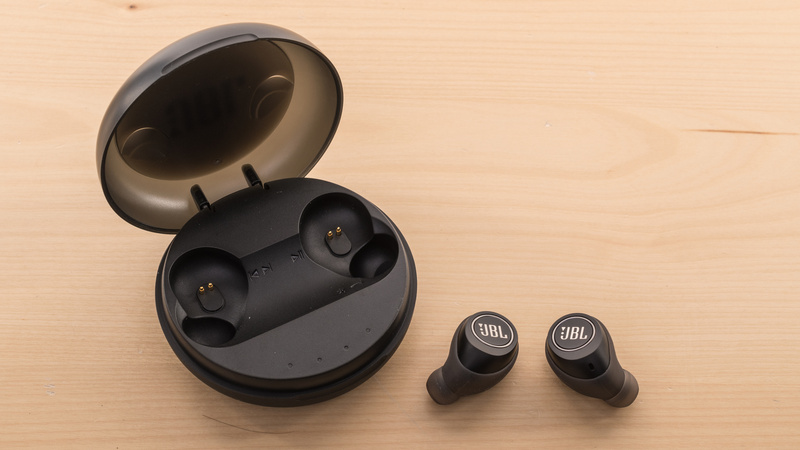 The JBL Free also have a closed-back design, which means that their soundstage won't feel as open as open-back earbuds like the Apple AirPods. The total harmonic distortion performance is okay. The overall amount of THD is elevated, especially in the mid and treble ranges. This could make the sound of those frequencies a bit of harsh and impure and will mostly affect vocals and cymbals. The JBL Free X have very good isolation performance. If you can achieve a proper fit, they create a good seal that isolates a fair bit of noise. Although they don’t have an active noise cancelling feature, they block out speech and most higher-frequency noises like fan sounds fairly well. They also have excellent leakage performance, which means that if you find they don’t reduce ambient noise enough, you can raise your volume a bit without having to worry about others hearing what you’re listening to. The JBL Free X have decent noise isolation. They achieved about 10dB of isolation in the bass range, responsible for the rumble of airplane and bus engines, which is good for passive isolation. They isolate by about 21dB in the mid-range, important for blocking out speech, which is very good. They also do a good job at isolating sharp sounds like sibilants (S or T sounds), achieving about 35dB of reduction in the treble range. 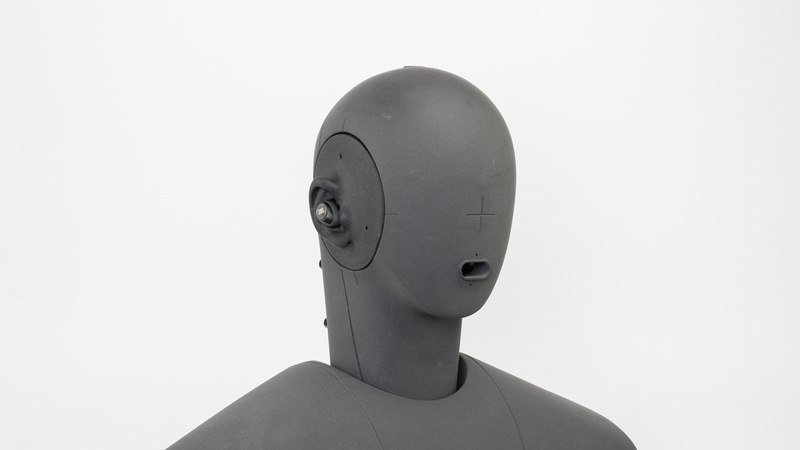 The JBL Free X didn’t isolate as well as the JBL Free in our tests, but this may be because the large earbuds can be difficult to fit in our dummy head and the scores obtained are within the tolerances of our testing. The leakage performance is excellent. Most of the leakage is concentrated in a narrow band in the mid-treble range, from about 5KHz to 10KHz. This makes their leakage very thin and sharp sounding. The overall level of their leakage is also very low. With the music at 100dB SPL, the leakage averages around 24dB SPL, and peaks at around 37db SPL, which is far below the noise floor of the average office. The JBL Free X have a disappointing microphone. In quiet environments, speech recorded or transmitted with this mic will sound thin, noticeably muffled, and lacking in detail. However, it will still be decently easy to understand. 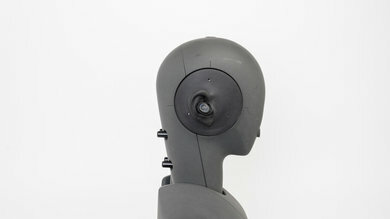 In noisy situations, the microphone will struggle to separate speech from background noise even in moderately loud environments, like a busy street. The JBL Free X have an integrated Bluetooth microphone with poor recording quality. LFE (low-frequency extension) is at 470Hz and HFE (high-frequency extension) is around 3KHz, which means that speech recorded or transmitted with this microphone will sound thin, lacking a bit of detail and noticeably muffled. However, it will still be relatively easy to comprehend, since speech intelligibility is mostly dependent on the 500Hz-4kHz range. If you want truly wireless earbuds with a better mic, then check out the Jabra Evolve 65t. They use a proprietary dongle to achieve better mic performance and are quite a bit more expensive than the JBL Free X , so they may not be worth it for everyone. The JBL Free X’s microphone has mediocre noise handling. In our SpNR test, this mic achieved a speech-to-noise ratio of approximately 13dB, indicating it is best suited for quiet environments and will struggle to separate speech from ambient noise in moderately loud or loud situations. Like the JBL Free, the Free X have a mediocre-at-best battery. The Free X provide roughly 3 hours and a half of continuous playback and take about an hour and a half to fully charge, which isn’t quite on par with most truly wireless in-ears we’ve reviewed. On the upside, their charging case provides up to 5 extra charges, so you can stretch their battery life to up to 20 total hours of playtime. Unfortunately, they do not support the JBL My Headphones app, so they aren’t as customizable as some of the other truly wireless headsets like the Jaybird Run. The JBL Free X have a mediocre battery. They provide 3.4 hours of continuous playback and their case provides 5 additional charges, which results in an estimated total of 20 hours of battery life if you place them in their charging case when not in use. Their battery should last you a full day of use if you take breaks to charge them, but they won't be ideal for long periods of continuous use. If you want a truly wireless design with a better battery, then consider the Apple AirPods. The JBL Free X do not support the JBL My Headphones app, like the JBL Everest Elite 700 do. The JBL Free X are Bluetooth headphones that can’t pair to multiple devices simultaneously and don’t support NFC. They have a great wireless range, though, so you should be able to leave your audio source in one room and walk around to nearby rooms without experiencing audio cuts. Although the JBL Free X didn't seem to have the same connection stability issues as the JBL Free, we don’t yet have a test to confirm this. They also still have way too much latency to be a suitable option for watching video content. 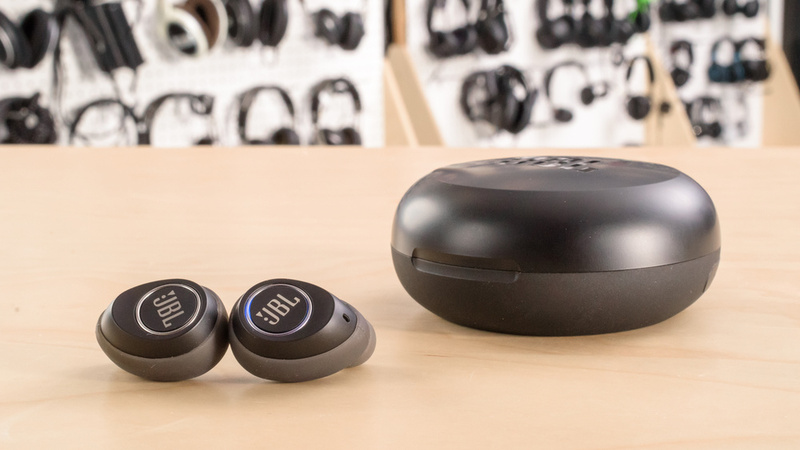 The JBL Free X connect to other devices via Bluetooth. They do not support NFC or multi-device pairing but they do auto-connect to the last paired device when you take them out of their charging case. The JBL Free X are truly wireless earbuds that don’t have an audio cable or a wired connection. If you want decent-sounding and stable in-ears with a wired connection, take a look at the TIN Audio T2 or the 1More Triple Driver In-Ear. The JBL Free X have a charging case that delivers up to 17 hours of extra battery life. However, the case has no inputs and no distinguishing special features like Qi wireless charging on the Altec Lansing True Evo. The JBL Free X have a great wireless range. They measured up to 44 feet of range when the wireless Bluetooth source was obstructed by walls, and up to 83 feet in direct line-of-sight. They didn’t seem to lose connection like the JBL Free did during our tests; however, since we don’t have a specific test for wireless reliability, we cannot confirm whether their connection has been improved. The JBL Free X have terrible latency and perform significantly worse than most Bluetooth headphones. With 336ms of latency, they are not suitable for watching movies or gaming. The JBL Free X are decent truly wireless in-ear headphones that are virtually identical to the JBL Free. 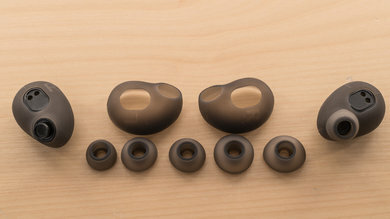 What sets them apart from other truly wireless in-ears is their unique design, which is highly portable but may not fit everybody. If you like their truly wireless design but want something with a more stable fit or better battery life, check out our recommendations for the best truly wireless earbuds, the best wireless Bluetooth earbuds and in-ears, as well as the best wireless Bluetooth earbuds for running and working out. Decent for most use cases. They have a balanced sound for critical listening, a stable yet comfortable fit for sports, isolate noise fairly well for commuting, won’t leak too much sound at the office, and are overall comfortable and portable truly wireless in-ears. On the downside, however, they don't have volume controls, which isn't very practical. They also have very high latency, which makes them less-than-ideal for watching TV or movies and have an inadequate microphone for multi-player gaming. Decent for critical listening. The JBL [nolink:Free] X have great bass, a well-balanced mid-range, and excellent treble. They sound relatively neutral and well-balanced overall. However, their high-mid and low-treble ranges are a bit recessed, which may make some instruments and vocals sound slightly distant. In addition, since they're closed-back in-ears, they don’t have the same soundstage as open-back, over-ear headphones for critical listening. That said, their audio reproduction is quite good, and they sound balanced enough to please most listeners. Decent for commute and travel. 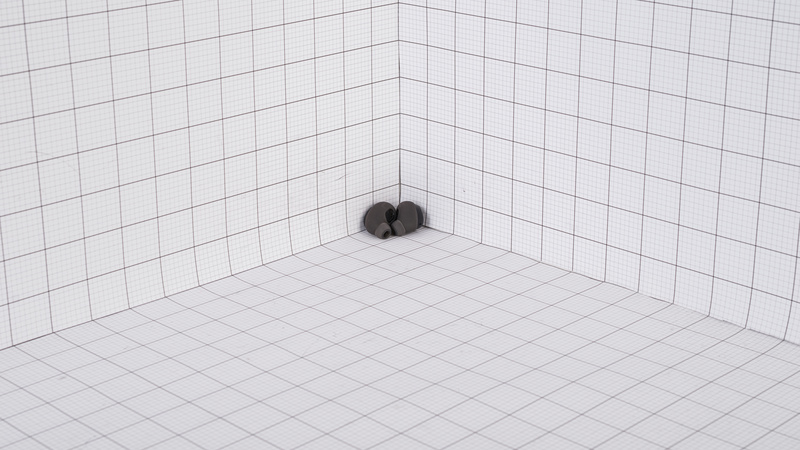 The JBL [nolink:Free] X have very good isolation and do a decent job at blocking out most noises. They don’t isolate as well as headphones with active noise cancelling in the bass range, but their performance will likely be acceptable for most, especially those who can get a good seal. They’re very portable and have a simple, easy-to-use control scheme, but lack volume controls, which means you’ll have to pull out your phone whenever you want to adjust the volume. Great for sports. The JBL [nolink:Free] X have a stable yet comfortable in-ear fit. They're lightweight and portable with an easy-to-use control scheme. Unfortunately, they have no volume controls and their unique design is not as stable as other truly wireless headphones. They also don’t have an IP rating, so they may not be as sweatproof as other sports in-ears, like the Jabra Elite Active 65t. Decent for office use. 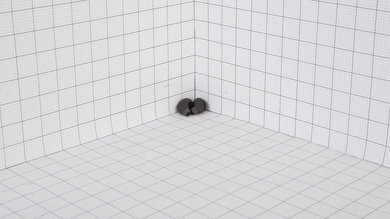 The JBL [nolink:Free] X isolate speech quite well, which makes them suitable to use in a lively office. They also have excellent leakage performance, so you shouldn’t bother your colleagues if you raise your listening volume a bit. Although their battery does not last very long continuously, if you take short breaks to charge them in their case, they could last you all day. They don’t support multi-device pairing, though, so you’ll have to manually switch between your work computer and your smartphone throughout the day. Inadequate for watching TV. The JBL [nolink:Free] X have too much latency for watching movies or TV show and they don’t support any low-latency codecs. 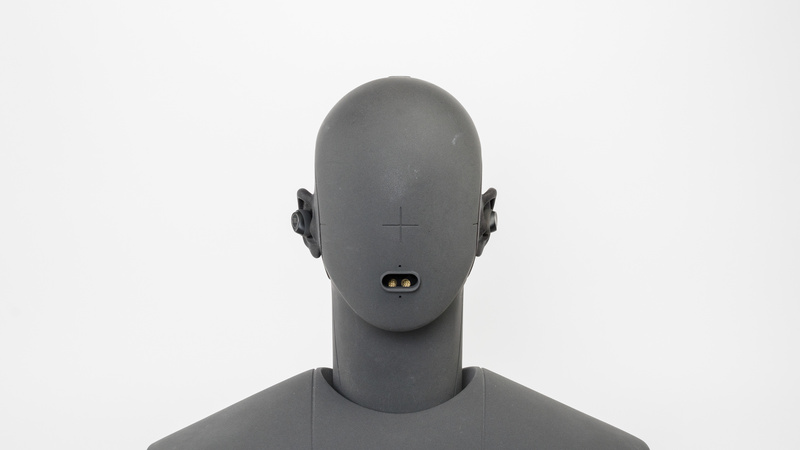 In addition, their in-ear design may start to get uncomfortable after a while and won't be ideal for watching movies or multiple TV show episodes in a row. Poor for gaming. The JBL [nolink:Free] X have a disappointing microphone and way too much latency to be suitable for gaming. They also do not have a companion app, which means they aren’t as customizable as most gaming headsets.